Seafood Pasta – with white wine and Romano cheese. 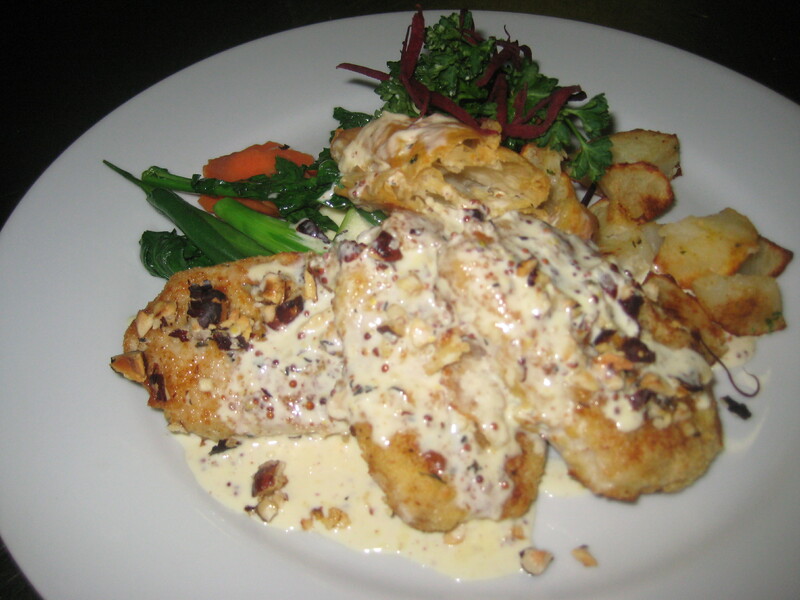 Baked Chicken – with ham, gruyere cheese, topped with cream sauce. 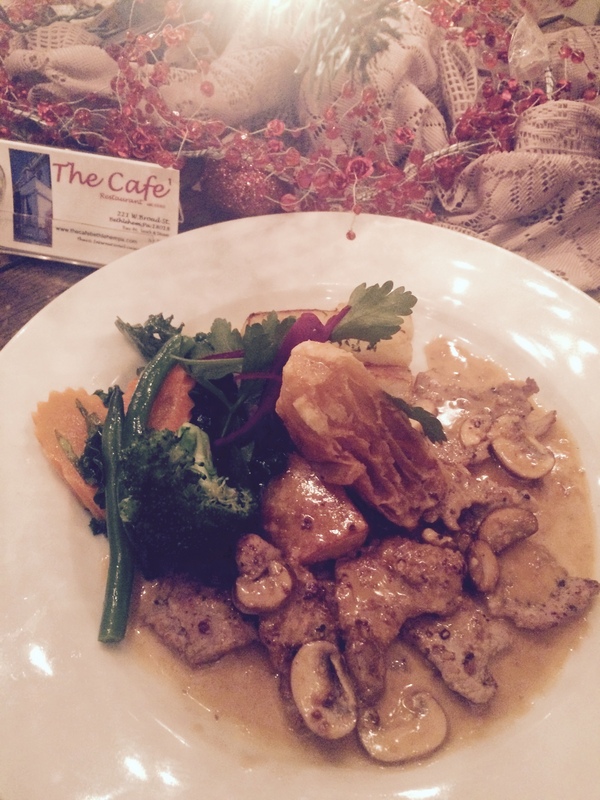 Pork Medallion – with hazelnuts, rosemary & thyme, lightly breaded topped with dijon mustard sauce. Seafood of the evening – Baked Salmon. Duck Panang Curry – sliced crispy duck simmered in panang curry with dress pineapple. Pad Thai – fried rice noodles with egg, carrot, scallions, cabbage, bean sprouts, peanuts, and tamarind sauce with either chicken , tofu , or shrimp. Spicy Pad Thai Basil – fried noodles with chili, onion, red peppers, brocolli, cabbage, carrot, bean sprouts, Thai basil, and spicy tamarind sauce, with either chicken , tofu , or shrimp. Thai Red or Green Curry – (shrimp,chicken or tofu ). The Cafe Fried Rice – with shrimp, crab meat, fresh pineapple. Basil Stir Fry-choice of veggie-tofu,pork,chicken or salmon/shrimp.